The eldest son of John Roebling, Washington was born in Saxonburg, Pennsylvania, a town co-founded by his father and his uncle, Karl Roebling. His early schooling consisted of tutoring by Riedel and under Henne in Pittsburgh. He eventually attended the Trenton Academy and acquired further education at the Rensselaer Polytechnic Institute in Troy, New York, from 1854-57. While attending Rensselaer, Roebling became a member of the Pi Eta Scientific Society, now known as the Rensselaer Society of Engineers. Following his graduation as civil engineer (C.E. ), he joined his father to work as a bridge builder. From 1858 to 1860, he assisted his father on the Allegheny Bridge project, living in a boarding house on Penn Street. Following the completion of the bridge, he returned to Trenton to work in his father's wire mill. 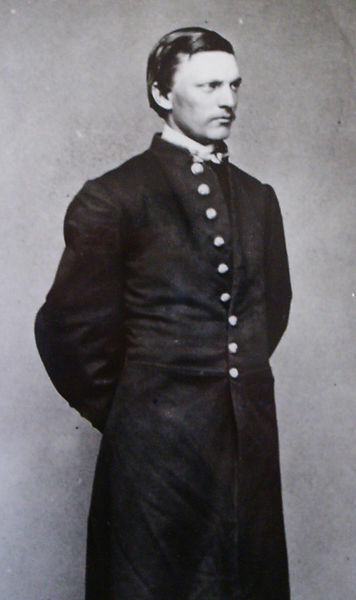 On April 16, 1861, during the American Civil War, Roebling enlisted as a private in the New Jersey Militia. Seeking more than garrison duty, he resigned after two months and re-enlisted in a New York artillery battery. He rose steadily in rank and was soon commissioned as an officer. Roebling saw action in numerous battles: Manassas Junction (Second Bull Run), Antietam, Chancellorsville, the Wilderness, Siege of Petersburg, and most notably Gettysburg. Soon after Chancellorsville, he was perhaps the first to note the movement of Robert E. Lee's Confederate Army toward the northwest while conducting air balloon reconnaissance. On July 2, 1863, Roebling was one of the initial officers on Little Round Top. Observing signs of Confederate troops approaching, he hurried down the hill to report to Brig. Gen. Gouverneur K. Warren, for whom Roebling was aide-de-camp. General Warren and Roebling then descended the hill to find troops to secure this important tactical position. Roebling assisted in hoisting artillery up the hill, while Warren sent two of his aides, one of whom was Lt. Ranald S. Mackenzie, searching for infantry support. The two aides were able to secure a brigade from the Union V Corps. This brigade was commanded by Col. Strong Vincent whose brigade immediately occupied the hill and defended the left flank of the Army of the Potomac against repeated Confederate attacks. As Vincent's brigade began moving into position, Warren and Roebling had left the hill and Roebling was able to send the 140th New York Volunteers to the hill, not knowing that Vincent's brigade was already engaging advancing Confederate troops. However, the 140th New York provided much needed reinforcements.